The Personalized Pave Set Round Cubic Zirconia Name Ring is a popular ring style that makes the perfect gift for that special someone or special occasion. 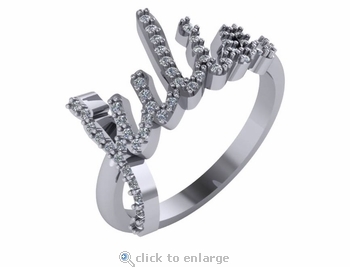 This stunning personalized ring has an approximate 2mm shank width. 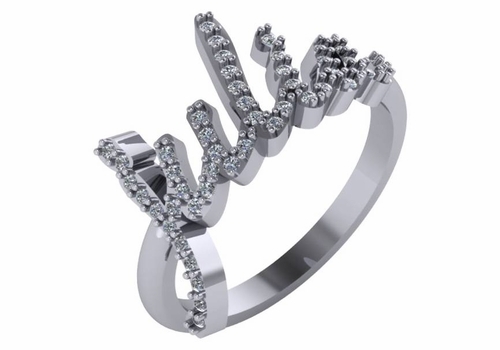 The simulated diamond look cubic zirconia stones beautifully accent the name of your choice. Our Russian formula cubic zirconia coupled with our solid 14k gold mountings provide you with a stunning finished product. You can choose up to 6 letters in a name. Longer names can also be made, please call us directly for assistance. 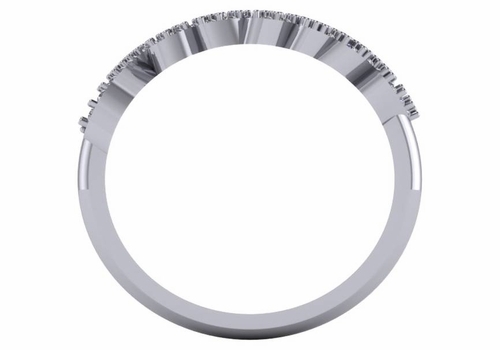 This ring is available in 14k white gold and 14k yellow gold. For immediate assistance, please contact us directly at 1-866-942-6663 or visit us via live chat and speak with a knowledgeable representative.